The CITES Wiki Identification Manual is a collection of data sheets designed to help identify various species of fauna and flora with drawings (black and white), photographs, maps and concise descriptions. It is a useful tool for CITES Management and Scientific Authorities, Customs officials, and all others involved in implementing and enforcing CITES. To use the database, click on the button and first select ‘plants’ or ‘animals’, then choose to search by 'genus', ‘species’, or by common names. 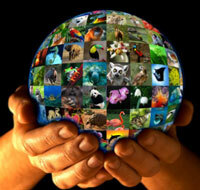 Please note that the content of the database is a work in progress and not all CITES-listed species are represented. Users of the CITES Wiki Identification Manual do not have to register in order to view the Manual. Users who wish to add identification content, or modify existing content, must first register through the CITES Wiki Identification Manual. Once registered, the User can apply to be a Content Editor by sending a request by e-mail to the Identification Manual Administrator ([email protected]), with a brief indication of their areas of interest and expertise. Only information on identification characteristics can be added to, or modified within, the CITES Wiki Identification Manual. All additions/changes are subject to review before appearing in the CITES Wiki Identification Manual, and additions/changes will be attributed to the submitter. The Secretariat reserves the right to reject applications for content editing, and to reject additions and changes to the CITES Wiki Identification Manual. If you have any questions on the CITES Wiki Identification Manual database, please contact the Identification Manual Administrator at the above address.